Do you want to keep track of the growth of your child? 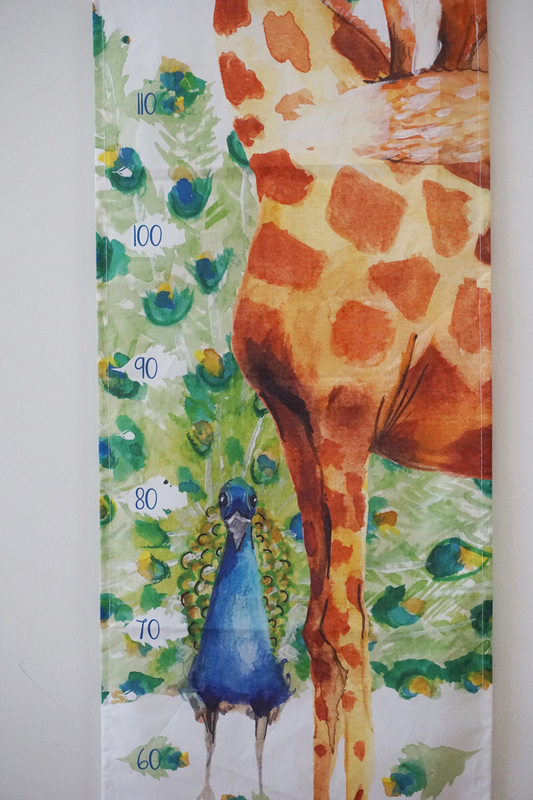 You can do that a lot more regularly and easier with this fun handmade growth chart. The idea is inspired by the old use of dashes on the wall or doorpost. Suitable for toddlers as soon as they can stand up to a length of 160 cm. The growth chart is not only useful but also brightens up a white wall with the beautifully colorful watercolor illustration. Fun for in the nursery or at another place in the house. 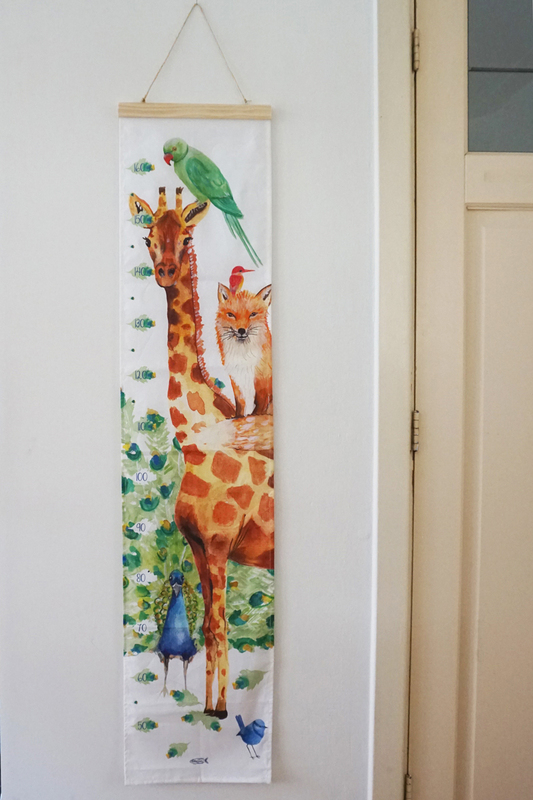 On the growth chart you see different animals: a giraffe, fox, peacock, parrot and two birds. You can write on the fabric with a fabricmarker at the correct length. Super nice to save for later. 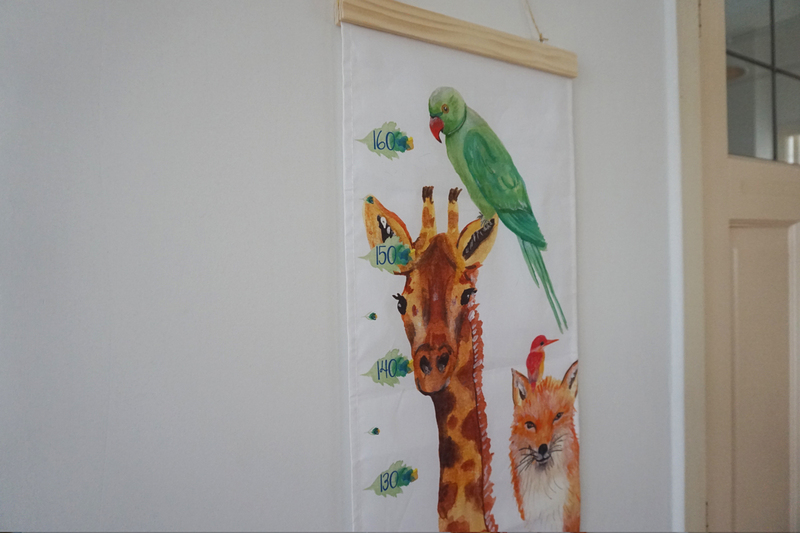 The growth chart is made of 100% cotton with a nice wooden hanging system. Measurements: 30 cm wide and 135 to 137 cm high. 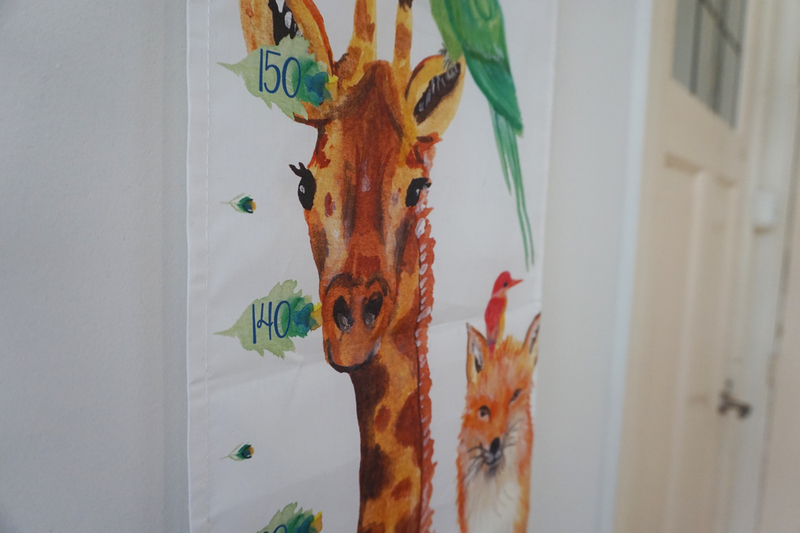 The growth chart measures up to a height of 160 cm. 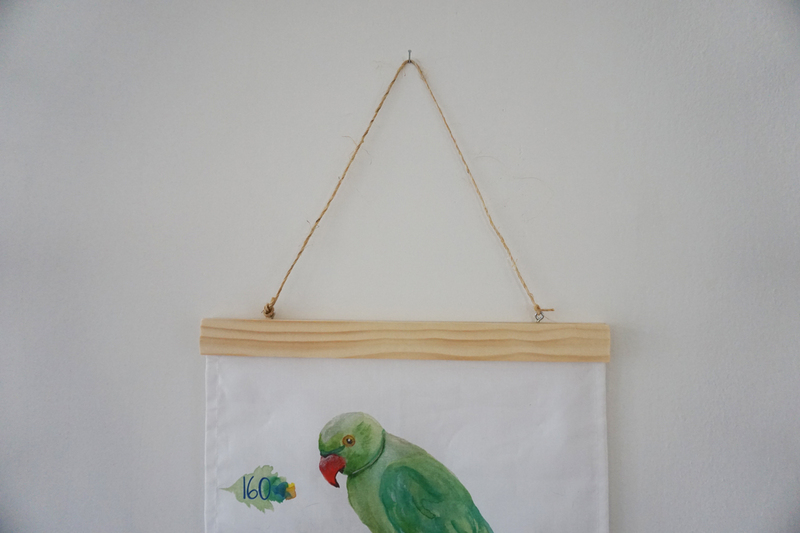 A perfect maternity gift and a real eye-catcher for the baby and children’s room.